This morning, I picked 72 fresh ripe figs from my own fig tree. They are all huge & very ripe. 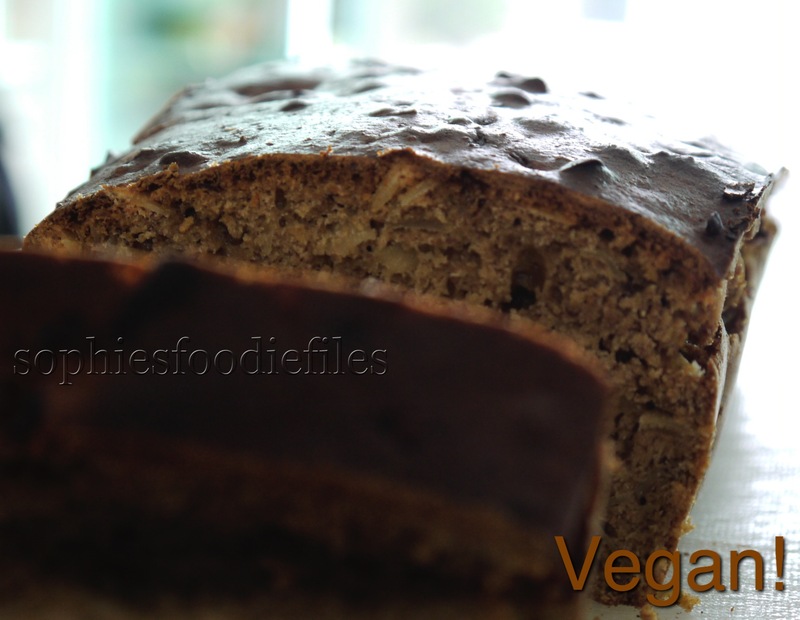 I cleaned them & made this wonderful cardamom, mace & cinnamon scented fresh fig spelt bread aka cake. I made this lovely cake not too sweet. I like to eat a big slice, just like that! It is That good! 🙂 My husband gave it a 10/10! You want to devour a big slice, don’t you? 2 flax eggs instead of 2 real eggs!!!! ( 1 flax egg = 1 tablespoon ground broken flaxseed combined with 3 tablespoons of water, leave to form a sort of gel-like consistency ) x 2! 1/2 teaspoon sherry vanilla extract or normal vanilla extract/ I use home-made! 1. Preheat your oven to 180°C ( 350 F ) for 10 minutes. I always use a fan-oven. 2. Take a medium bowl & add white spelt flour, whole-wheat spelt flour, flaked almonds, coconut sugar, mace, cardamom, cinnamon, sea salt & baking powder. Mix well with a spoon. In another bowl, add vegan buttermilk, canola oil & sherry vanilla extract. Whisk together. Now, pour wet ingredients to the bowl with dry ingredients & mix with a spoon. See they everything is well-mixed but do not mix too long. Finally, fold in the chopped fresh figs. See that the figs are well mixed in. Scoop the batter into a fitted silicon bread-baking tin. See that the figs are equally divided all over & in the bread!!! Previous Post Vegan, Gluten-free grilled raddichio & red witlof in a pink grapefruit maple dressing, topped with toasted walnut crumble, pink grape fruit parts & smoked tempeh! Next Post Vegan Gluten-Free sunshine smoothy! 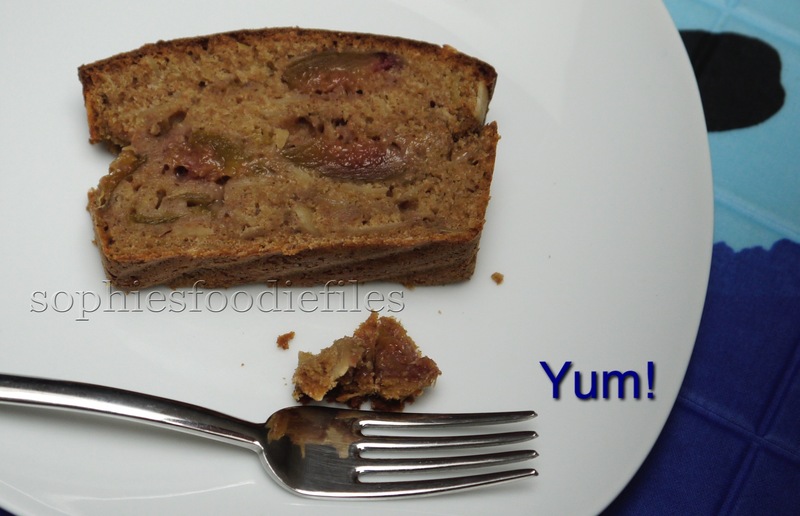 Love teaming of spices in cake and figs are my favourite so perfect…. Wonderful! Can’t wait to pick figs from my tree in a couple of months. Figs are delicious! We use to have a fig tree when I was growing up and my grandmother use to make all sorts of goodies using figs. It looks so delicious with fresh figs! Those figs look delicious – love the colors and yum! Lucky, lucky girl to have such a bountiful fig tree in one’s own yard. Your fig cake must be yummy. Thanks Sophie I will check those out. Looks super moist and delicious Sophie. I just love figs. Me too, but I am not fond of them raw! This cake looks delicious! Love adding buttermilk to my cakes, always makes them super light and fluffy! The addition of figs is delicious too! Thanks for sharing this amazing recipe! Thanks, Liz but we had to wait a long time between ,….it was3 weeks before that we had ripe figs. Your cake looks moist and delicious. No more fresh figs for me this year, fig tree is overwintering in the garage until next year. Ahaaaaaa! My tree is into the ground. It is a 10 year-old tree! 72 figs? Wow! What a number! 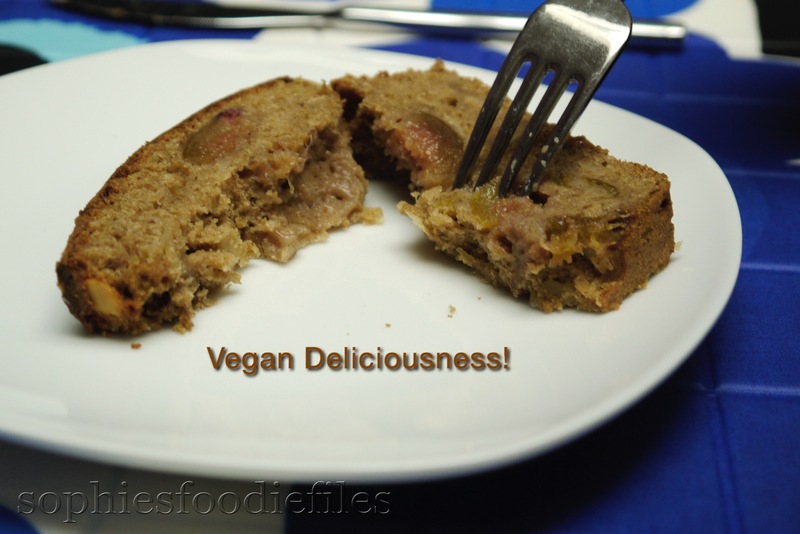 I love figs and your fig cake sounds delicious, Sophie! AMAZING!!! i love fresh figs ! this cake looks divine. 72 fresh figs????? OMG! I’m am sooooo jealous!!! We just bought a whole bunch of figs – time to make cake :-)! I’d love a slice of this with a mug of tea. beautiful Sophie. 72 fresh figs!?! You’re spoiled!!!! 😉 maybe I’m just jealous!! I give this cake 10/10 too! What an abundance of figs! Next year in your vegetable garden I wish you so much fun and abundance!